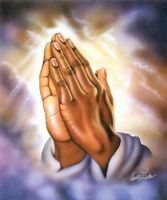 Please pray for me and ask Jesus Christ to help me to be a good man and transform to a better person. Help me and ask Jesus to reveal himself to me and take away every struggle from my life and bless me with his love and peace and also bring peace in all my situations. Please pray for my relationship with Maizle Costa which is broken, and ask Jesus Christ to make his way into our hearts, mend & fix our broken hearts & also our broken relationship. Heal us O Lord, have your mercy over us and change us, remove all the anger & hatred in Maizle's heart that she has against me & heal her from all the hurts & pains from her life.. Please pray that Maizle soften's her heart towards me & help her to come back, please pray that Jesus speaks to her & fills her with his Holy Spirit and make her feel her love again towards me... please pray for Maizle to call me. And fill me with Understanding to understand Maizle & patience, make me a good & loyal man to her. I can't do this on my own, help me Jesus my savior!! Please save my relationship and Unite me & Maizle with the most precious blood of Jesus Christ, Amen! !